A premier defensive tackle for 11 years with the Raiders, Ron now serves on the Raiders’ Board of Directors and as an alderman for the City of Racine. He was inducted into the American Football Association (AFA) Hall of Fame in 1996. He and his wife, Deb, are longtime Raiders volunteers. 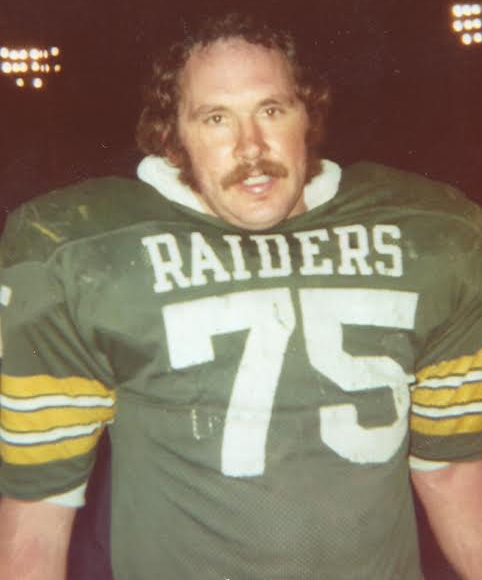 Too modest to discuss his past in print, Raiders fans will have to catch Ron after a game to talk about his illustrious seasons with the Raiders.